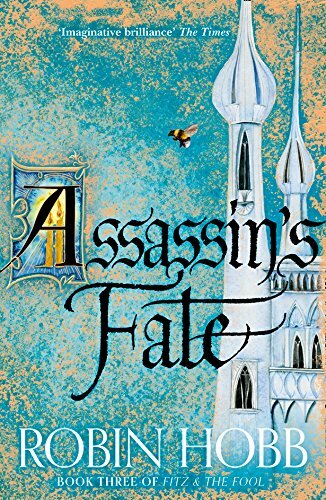 Finally the long wait is over and Jackie Morris’ cover art for the UK hardcover edition of Assassin’s Fate has been revealed! You can preorder this book from amazon or book depository. As always, PlentyWiki has information about all the different editions. The gorgeous UK anniversary hardcover edition of Assassin’s Apprentice from HarperVoyager will finally get matching editions of Royal Assassin and Assassin’s Quest later this year. Royal Assassin will be published on March the 23rd and will be followed in October by Assassin’s Quest, both can be preordered already. If you missed out on the US limited editions of the Farseer trilogy by Subterranean Press, here’s another chance to collect the first Realm of the Elderlings books in hardcover! New Hobb short story coming in October! A new short story titled Her Father’s Sword by Robin Hobb will be included in a new anthology called Book of Swords. A hardback and an ebook edition are set to be released in the US and the UK on the 10th of October. For a full list of authors and stories in this anthology, see GRRM’s Not A Blog. Book of Swords is already available for preorders on amazon.co.uk and amazon.com. When considering a man´s motives, remember you must not measure his wheat with your bushel. He may not be using the same standard at all. The Fool in "Assassin´s Apprentice"